A clock is mentioned among the furnishings in 1786. This may be the large old clock, positioned lower on the tower, which had a white dial with black figures, that was replaced by the present clock in 1911. 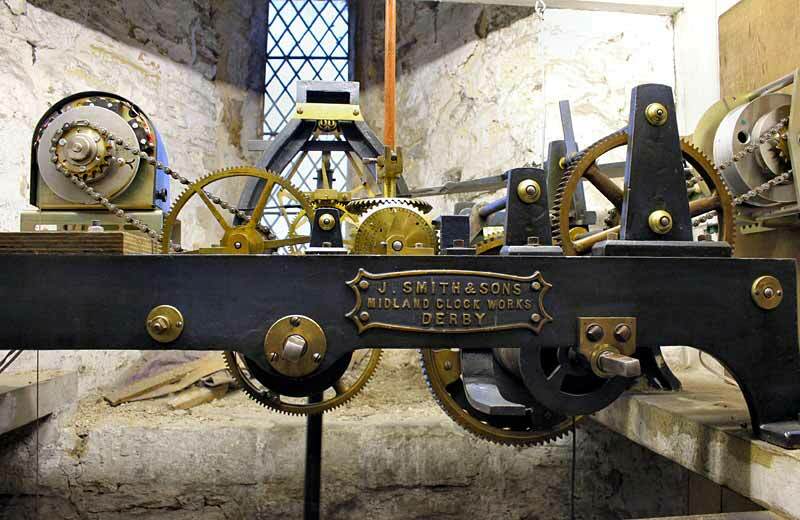 This was made by John Smith and Sons of Derby, and is still maintained by them. 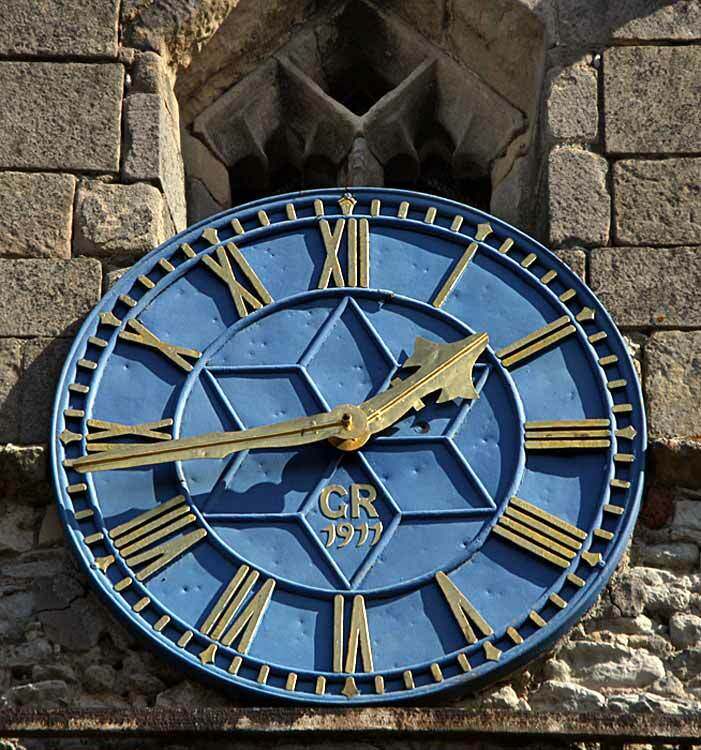 It has three dials on the south, west, and north sides of the tower, painted blue with gold figures, and bears the initials GR and the date 1911. It has a self-winding counter balance weight mechanism, and has going and striking trains, chiming on the hour during the day but not at night. Maintenance is paid for by the Parish Council.